REDUCED!!! Check out this Clean Carfax, ONE-OWNER 2017 Ford E-350 Super Duty 16-foot Box Truck with a 1,500 lbs Maxon Lift Gate and only 38,266 miles. Powered by a 6.8L V-10 Engine with 5-speed Automatic Transmission. FULLY SERVICED with a 10/19 PA State Inspection. It has Six Firestone Transforce tires with about 60% Tread depth remaining. Box Dimensions are: 16' inside length, 78" high opening, 87" wide opening, 94" wide inside door opening, 82" inside height with door opened, 87.5" maximum inside height with door down. This truck is very nice and ready to make you money$$$$$!!!! PLEASE be sure to VIEW ALL 31 detailed PHOTOS at www.jimbabishauto.com. For any questions or for more information, please feel free to call or email us. We are at 698 Eisenhower Blvd., Johnstown, PA 15904, only 77 miles east of Pittsburgh, and this vehicle is for sale locally and on several other sites for the NEW LOWER PRICE of $29,500. ... Always be sure to check www.jimbabishauto.com for Current Pricing and Updated Information, like mileage, options, etc. ... Balance of Factory Warranty, with approximately 44 months or 21,500 miles of powertrain remaining. We are set up with several banks and offer competitive Financing rates. We take trades, WE BUY VEHICLES and we sell to people all over the World. Thanks for viewing this 2017 Ford E-350 16-foot Box Truck with 1,500 lb Maxon Lift Gate. 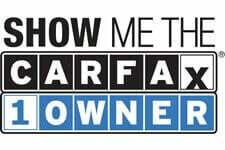 Jim Babish Auto Sales Inc.
Carfax ONE-OWNER, CARS, TRUCKS, VANS, 4X4s and SUVs!!! We now have 25 Competitively-Priced Vehicles with ONLY ONE Previous OWNER in our GROWING Inventory! LOADED Cars, SUVs, Jeeps, 4x4s, Vans, Trucks & MORE! We are stocked with Quality 1-OWNER UNITS!!!! Winter CLEARANCE SALE!!! HUGE Vehicle REDUCTIONS!! These Units are PRICED TO SELL NOW!!!!! Check out our Latest Inventory with NEW LOWER PRICES!!! More Aggressive moves!!! We recently DROPPED THE PRICE of 19 vehicles!!! Watch for more Reductions!! Come in and check out our constantly changing and Very Diverse inventory with NEW LOW PRICES!! Jim Babish Auto Sales Inc., a growing, family-owned and operated car dealership, has been serving the Western Pa. region for 34 years and the World for more than 15 years. Though we are very proud to be a small-town dealership, we have sold vehicles all over the world thanks to our strong Internet presence and quality online reputation. We are well-known for our extremely clean and well-maintained used cars, trucks, SUVs, vans and RVs. All of our used vehicles have been meticulously detailed by our professional staff and fully serviced by trusted local mechanics. Our commitment to excellence and unmatched attention to detail will surely turn your experience with us into a purchase you can be happy about for a long time. Our no-pressure, non-commission sales team eliminates the typically dreaded used car sales tactics. We are committed to making your used car shopping experience an enjoyable one. We specialize in rare and hard to find vehicles and always try to keep a few classics around. Thank you for shopping with us. We offer a variety of leasing and financing options. Contact us today at 814-539-8282 for more information, or fill out our Online Credit Application to begin the pre-approval process today. We are proud to be able to offer Extended Service Contracts from Protective Asset Protection. The successful high bidder will submit a $500.00 Deposit deposit within 3 business days of the close of the auction to secure the vehicle. Buyer agrees to pay remaining balance due (plus applicable fees and taxes) within 5 business days of the close of the auction. All financial transactions must be completed before delivery of the vehicle. PA buyers must pay 6% sales tax. Buyers from other states pay their tax upon registration of vehicle in their home state. If paying the full amount of the sale price by Credit Card you must add 3.5% of the purchase price. All transactions take place in Johnstown, PA 15904. Out of state buyers are responsible for all state, county, city taxes and fees, as well as title/registration fees in the state that the vehicle will be registered. 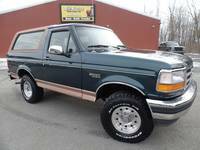 Contact Jim Babish Auto Sales Inc. today for more information on this vehicle.